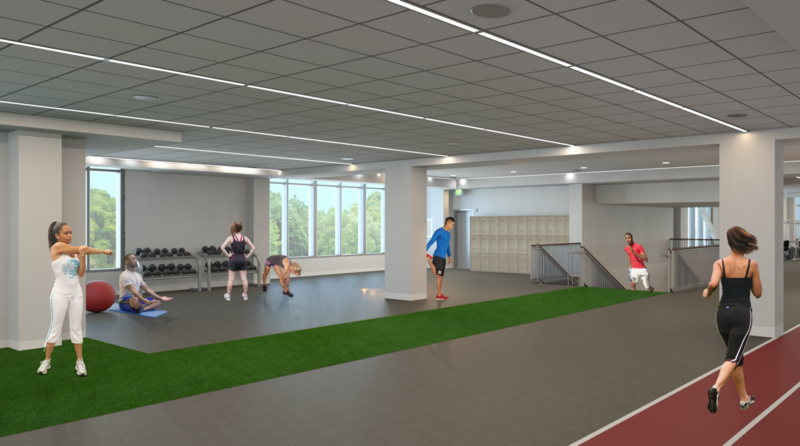 A cornerstone for Boston College’s (BC) commitment to student health and wellbeing, the new Connell Recreation Center will be a beacon for the institution when it opens in 2019. 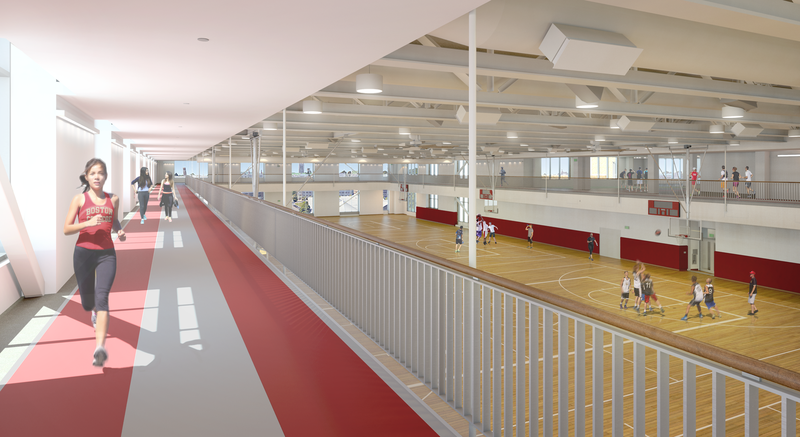 An inspiring addition the BC lower campus, the 244,000 Connell Center will offer individual and group training areas, an aquatics center, a gymnasium, multipurpose court, indoor tennis, an elevated jogging track (perfect for Boston Marathon training), mind-body studio, group exercise rooms and fitness neighborhoods located throughout the facility. 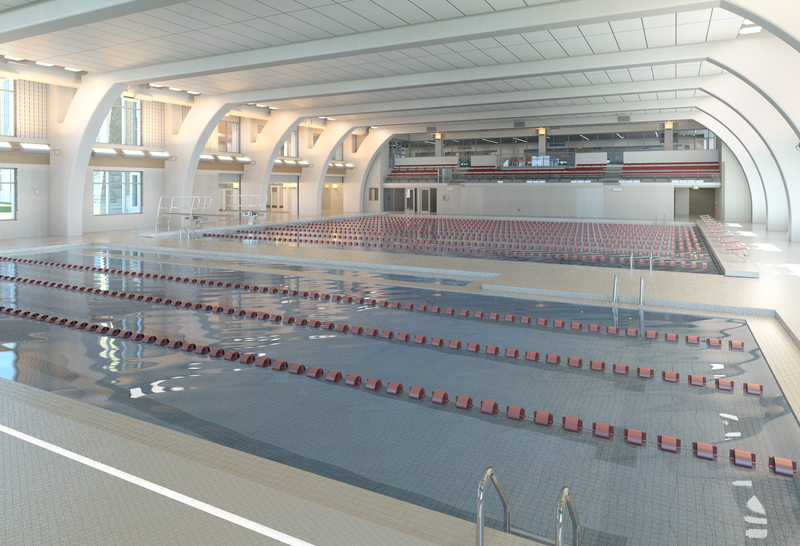 The design of the new recreation center utilizes Boston College’s rich heritage to inform the future. Balancing the inherent opposing forces of tradition vs. modernity is critical in creating a contextual response with modern functionality. The result is a contextual piece of architecture with more meaning than simply applying the forms of English Collegiate Gothic to the mass of the design, but rather captures and resects the essence of the college’s past. 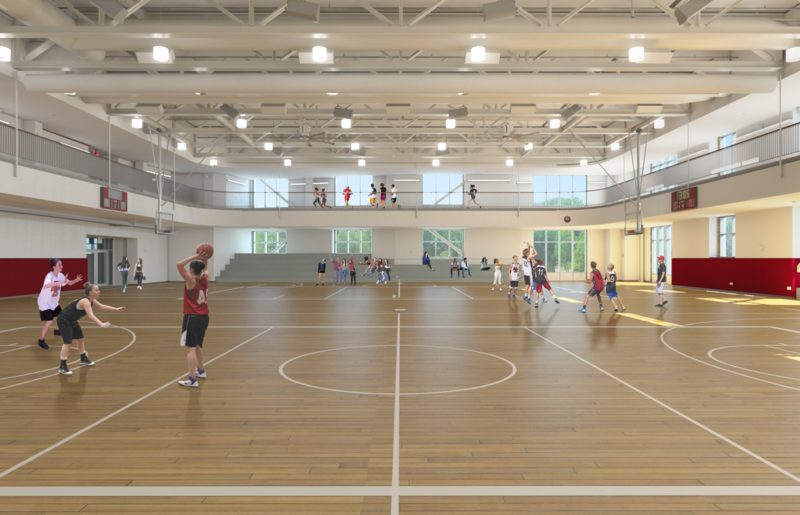 The Connell Recreation Center sits prominently on BC’s lower campus and aligns with the campus’ long-term goals for student life. With 91% of its undergraduate population using current facilities, BC is hoping for full participation once the new center opens.